We all go through intensely stressful moments and decrease in the levels of awareness of our environment in the circumstances of daily flow. As a woman, each of us experience different kinds of difficulties and setbacks that lead to decrease in life satisfaction and stamina. 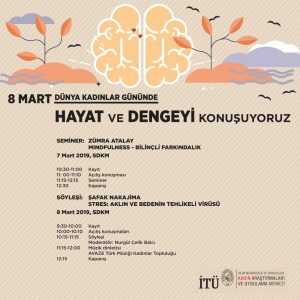 In this significant day for women, while Prof. Dr. Zümra Atalay has talked about how to perceive our environment and selves with a higher awareness and mindfulness techniques, Prof. Dr. Şafak Nakajima has gave presentation about stress as a psychological threat to both our minds and bodies. The program has ended with the concert of AVAZE Türk Müziği Kadınlar Topluluğu. 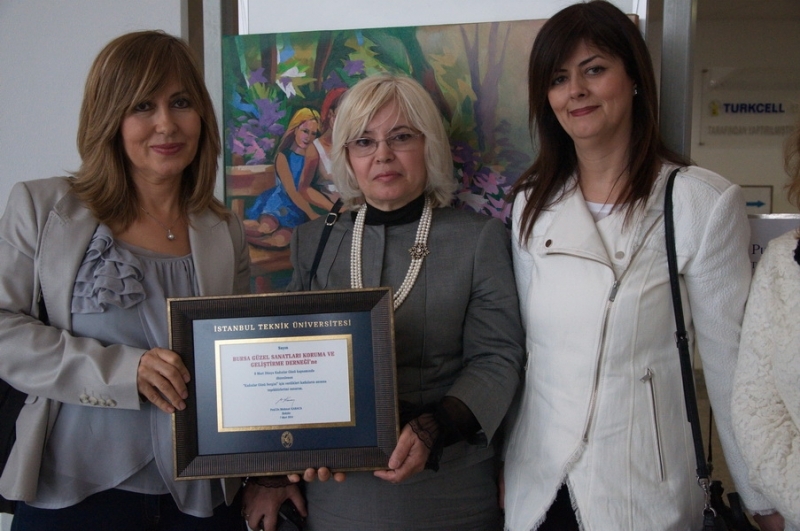 Atalay has earned Bachelor’s degree on Psychology in Selçuk University. After Masters and PhD degrees, she has established the sub-department entitled “Mindfulness and Psychological Needs” in Rochester University, Psychology department. Currently, Atalay is working as a head of MEF University – Psychological Consultancy and Guidance. Nakajima has completed her medicine degree in Uludağ University and earned her PhD on Virology in Osaka University. Besides her educations in Canada, China, United Kingdom and USA, Nakajima work as a doctor for more than 20 years in holistic medicine. Nakajima has two books as well as articles on medicine, psychology, philosophy and science. 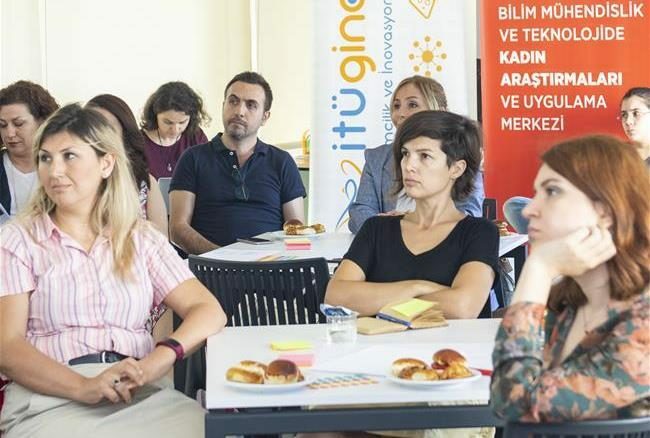 On the collective event of KAUM and GINOVA, the problems that women entrepreneurs face during the entrepreneurship process and solutions to those problems were discussed with the participation of 10 women entrepreneurs who graduated from architecture and engineering departments. In the workshop, based on personal stories that women entrepreneurs shared, it was observed that the problems that are perceived as personal mostly applicable for all women entrepreneurs; and the common journal map was created. On the process of entrepreneurship, women declared the biggest motivators as family, university, business life and role model, and the biggest barriers as network limitations, the way women are perceived and socio-political environment. At the end of the workshop, the recommendations in order to increase the number of women entrepreneurs in STEM fields were given: forming mentor-mentee bonds, entrepreneurship competitions for women, creating networks of investment, training camps for women on entrepreneurship and seminars aimed to decrease the lack of self-esteem. 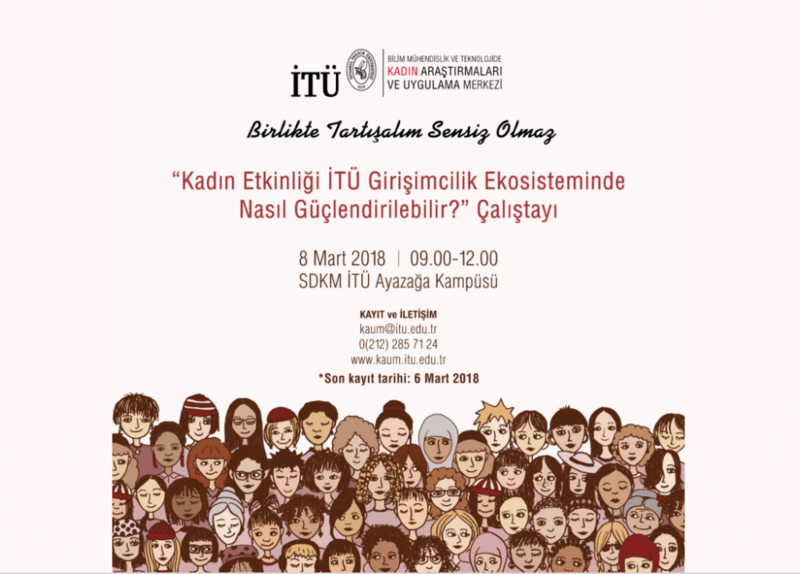 On this important day, KAUM has organized a significant event for women that targeted the issues of women entrepreneurship and ways to improve the process. 42 attendees including students, graduates, ITU academics and administrative staff have attended. In the workshop, the attendees were divided into 4 groups and each group evaluated women entrepreneurship process by using SWOT analysis which involves strengths, weaknesses, opportunities and threats. Attendees indicated those qualities in general: for strengths, being graduated from ITU and high motivation; for weakness, social norms and absence of role models; for opportunities, support for entrepreneurship and image of ITU; for threats, cultural reasons and global problems. At the end of the workshop, the recommendations in order to increase the number of women entrepreneurs in ITU ecosystem were given: camps and workshops should be arranged directed at women entrepreneurship, mentorship bonds are need to be formed, courses and certificates from GINOVA and similar organizations should be given, and meetings with role models should be organized. Women of ITU will be sharing their success stories and experiences in the male dominant science, engineering and technology area; co-organized by ITU Women Studies Centre and ITU Rectorate. 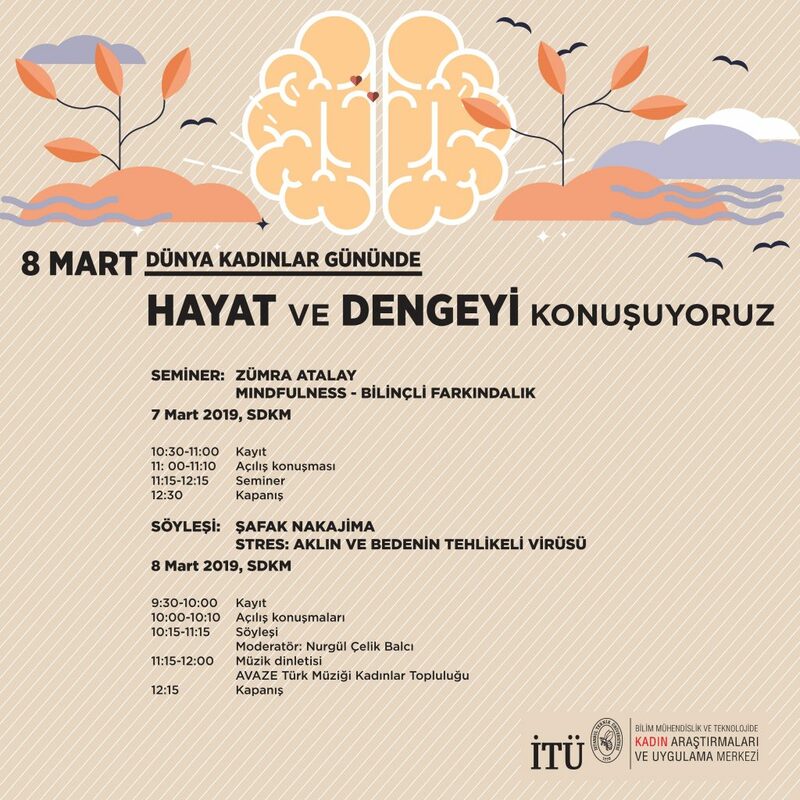 The program will continue with a concert in Classical Turkish Music and Western Music area by four women composers’ works from Romantic Era to today which again will be performed by women performers. For Meeting Program please click here. 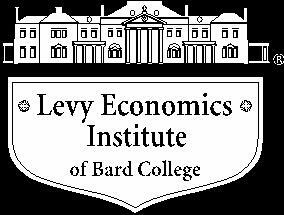 For a summary of the research report please click here. A meeting with the context of ‘woman in the IT sector is arranged in scope of CeBIT Synergy Summit, which will be held by Family and Social Policies Ministry and World Bank . Our Board Member Prof. Dr. Nilgün Okay and Advisory Board Member Prof. Dr. Kadriye Bakirci will join the meetings as speakers. 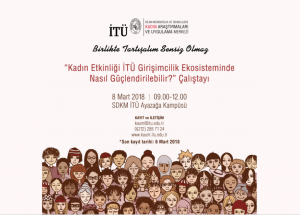 One-day workshop”Sexual Harassment and Mobbing at Universities” was held on April 24, 2013 with 22 participants from 7 universities in Turkey, in Anatolian University Women Studies Center. 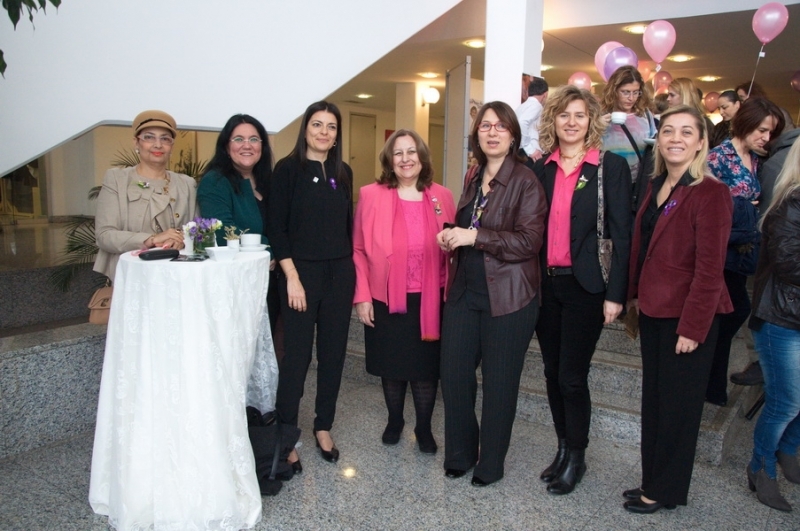 International Women’s Day Activities : Opening of new office in Mining Faculty Building-Maslak Campus) A first day issue envelope and a special stamp for WSC in SET. 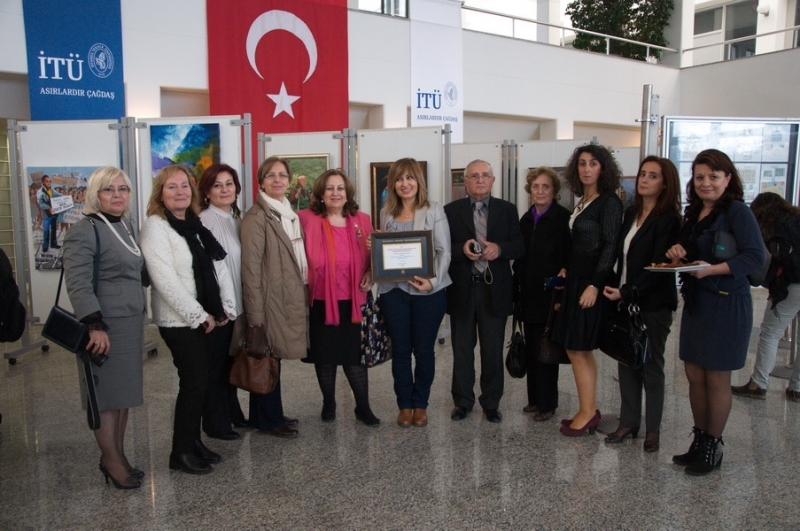 The partner university representatives of “Science, Engineering and Technology Network of Women Academic in Turkey” Project is coming together for the 3. 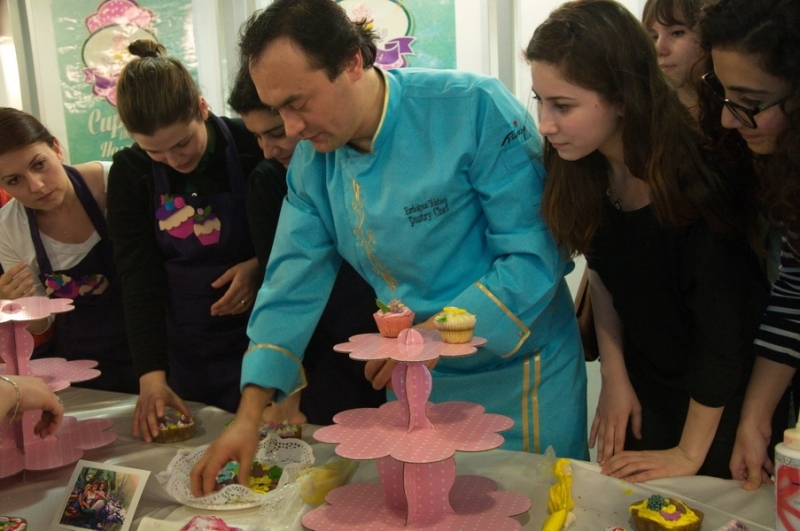 Workshop at Istanbul Technical University Taskisla Campus. 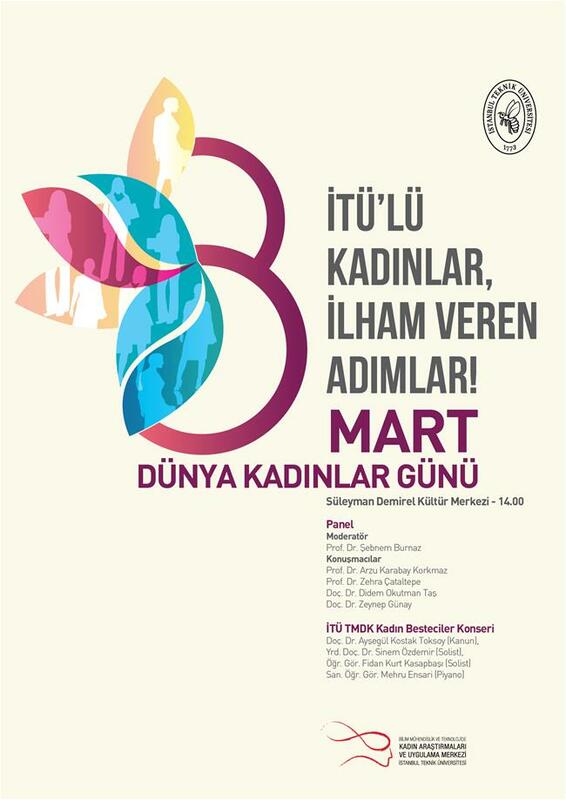 The Workshop will be held on 30th of November 2010 with the participation of representatives from Akdeniz University, Ankara University, Canakkale On Sekiz Mart University, Dokuz Eylül University, Istanbul Technical University, Karadeniz Technical University, Kocaeli University, Ortadogu Technical University and Yildiz Technical University. 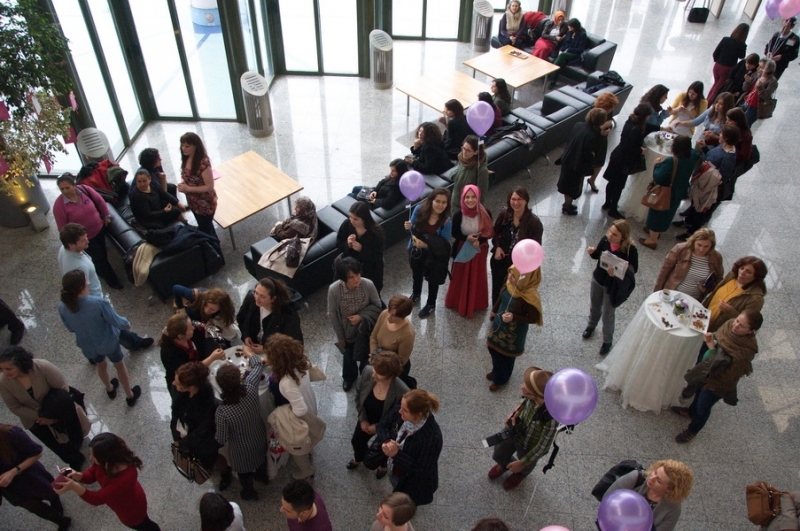 The Project aims at establishing a network of women academics in science and engineering and developing a gender based database all over Turkey. The network and the database will offer a ground for fostering gender equality in basic policies, raise awareness and develop a co-operation between universities.